Museum of Anthropology (MOA) preserves Canada’s indigenous art. The breath-taking architecture of MOA building is in itself a scene to gape at. Inside, you will be flabbergasted to see so many relics associated with the various tribes of the land since antiquity. Totem poles, masks, porcelain collections are some of them. Don’t miss the ‘The Raven and the First Men’ sculpture which is synonymous with MOA. During March, the museum conducts Coast First Nation fest. Don’t miss it if you are visiting Vancouver in summer. Stanley Park is the pride of Vancouver. In terms of area or beauty, it’s no less than it’s another northern counterpart i.e. New York’s Central Park. 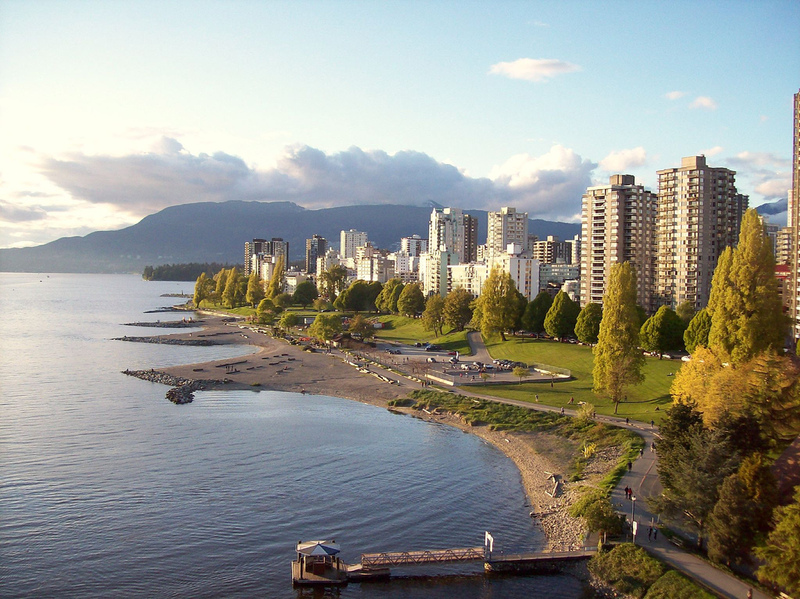 At Stanley Park, you will find plenty of cheap bicycle rental companies. Or take a stroll to seawall for sea-gazing during sunset. For children, the mini toy train is the source of joy. In case you are going to Vancouver during October, the Halloween Train exhibition will give the chills to the children and adults- alike. What’s life without a dash of an adventure? If you get bored with all the ‘sanitized’ tourist draws in Vancouver, then head towards Capilano Suspension Bridge. 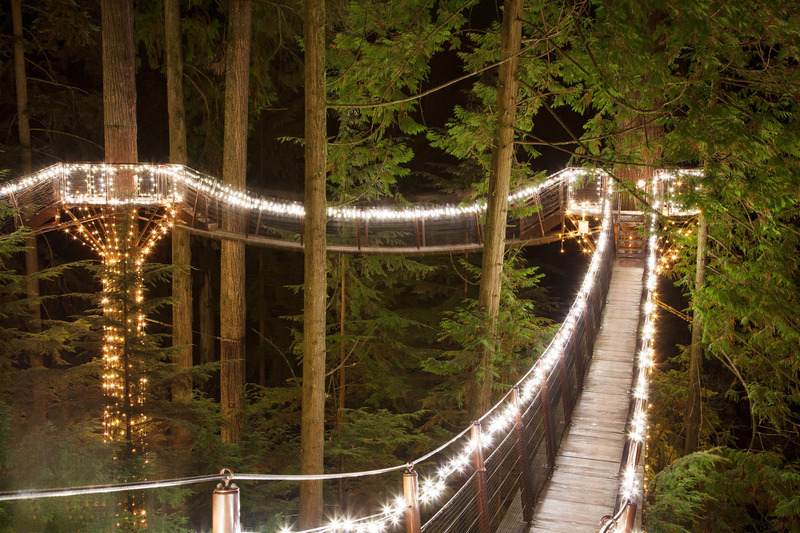 Located at the northern part of Vancouver, Capilano Bridge will give you thrills for the lifetime. A part of Provincial Park, Capilano Bridge not only flaunts high altitude but also picturesque beauty. Once you are done with exploring this human wonder, take a hike around the trails of the bridge. Or visit the nearby Grouse Mountain. For beach bums out there, English Bay is the spot to be. A morning jog on the beach will revive you. Additionally, if you have small kids, it’s the best place to let them have fun while playing or cycling. If you nurture a childlike curiosity to collect seashells, get them aplenty on the beach. During July-August, take a dip into the water and swim at your heart’s content. When you are traveling with kids, it’s mandatory to keep children-friendly tourist spots in schedule. Science World Vancouver is the hottest corner in the town for children to learn and get hands-on experience in scientific activities. From rifle target practice to skiing, from quantum exhibit gallery to solving puzzles- your child must feel like a kid in a candy store here. The vast food court offers some mouth-watering cuisines. For adult ones too, Science World is an absolute-visit. One of the most beautiful cities in world- Vancouver has lots to gift than you can ever handle. When you are short on time, do visit the above mentioned locales at the least. Your trip will be enriching and unforgettable.